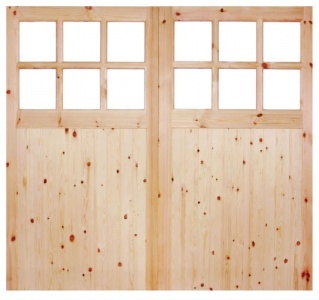 Give your garage a traditional timber look instead of metal up-and-over doors with our solid timber garage doors. Supplied with clear single glazed panels in the top allowing light in. 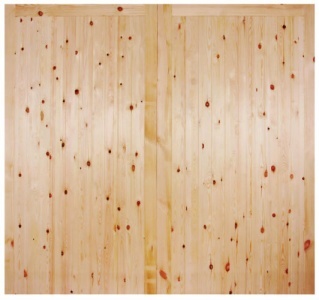 Supplied unfinished ready to accept your choice of paint, stain, oil or varnish. 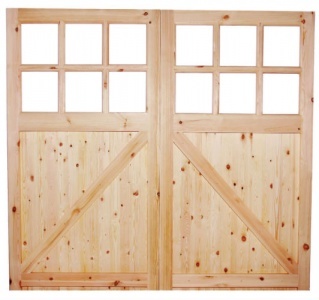 We stock a comprehensive range of garage door furniture to hang and secure your garage doors.